In his article, Saletan claims to have researched GMOs for up to a year. All the more remarkable, then, that on the vexed issue of GMO safety, he falls for the discredited GMO lobby trick of a vague appeal to authority that doesn’t stand up to scrutiny. 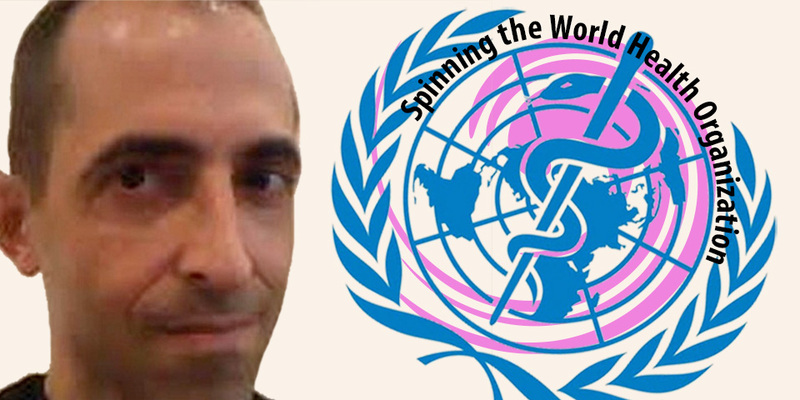 Saletan states that eminent scientific bodies like the World Health Organization (WHO) “have all declared that there’s no good evidence GMOs are unsafe”. The implied question is: who are you to doubt them? The trouble is that 124 health- or science-related organizations from around the world have declared doubts about the safety of GM foods and/or called for mandatory labelling – something that Saletan vehemently opposes. Saletan doesn’t even appear to have read the WHO statement on GMO safety that he relies on. Certainly the WHO did say, “No effects on human health have been shown as a result of the consumption of GM foods by the general population in the countries where they have been approved” – though skeptics will note that it is hard to find effects on human health in the absence of any studies. 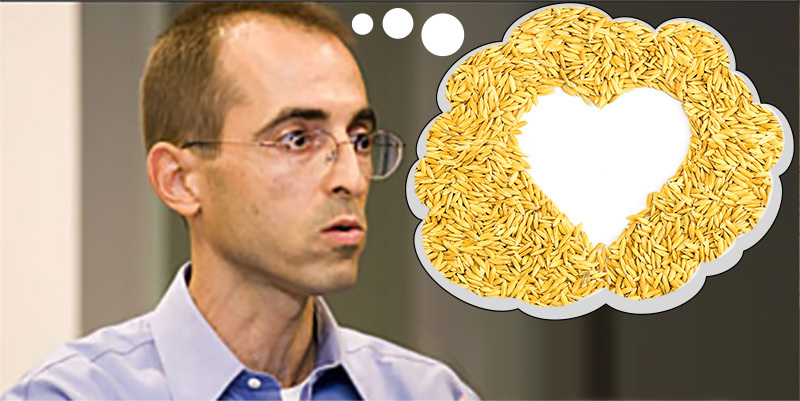 We don't need "golden rice"
Journalist Will Saletan set the Internet afire yesterday with his long-form piece against anti-GMO activists. A key component of his argument is that Golden Rice, which has been genetically engineered to contain Vitamin A precursors, has not been welcomed by anti-GMO crowd with open arms. But what Saletan fails to mention is that the science is still out on whether golden rice is actually the boon it’s claimed to be. The best evidence we have is that the compounds in the rice are converted to Vitamin A in the human system, but this isn’t enough to say that it’s healthy — Saletan makes a lot of hay out of the fact that anti-GMO activists often can’t point to specific known harms, but instead must rely on fears of unknown future problems. But unknown side effects are not necessarily inchoate, ad hoc rationales to oppose genetic modification, and are in fact especially salient in the realm of nutrition because of the field’s complexity. The body’s processes for gleaning nutrition from a particular food are highly complex, and depend on many different factors such as the ratios in which the nutrients are presented to the body, the form in which they greet your digestive system, and the composition of your gut biome. For example, iron is difficult for your body to assimilate properly if you’re not getting enough Vitamin C, sugars in juice may be dangerous while sugars in whole fruits are not, and large numbers of people are deficient in Vitamin B12 despite getting plenty of it in their diets, for reasons that are still not entirely clear. El 17 de Abril de 2015 el Ministerio de Agricultura Ganadería y Pesca de la Nación, mediante la Resolución 98/2015 aprobó la comercialización (condicionada a la aprobación en China) de la semilla transgénica de soja (DAS-444Ø6-6) con tolerancia al glifosato, glufosinato y 2,4-D, solicitada por la subsidiaria local de Dow Chemicals. La semilla ya había sido cuestionada en la instancia administrativa por las ONGS, Acción por la Biodiversidad, Foro Ecologista de Paraná, Centro de Protección a la Naturaleza, Bios y la Red de Abogados de Pueblos Fumigados, que en su presentación solicitaron acceso a los estudios ambientales, presentados por la empresa peticionante, y exigieron el cumplimiento de una instancia de participación ciudadana. Resistance is now taking a new form: the removal of global toxins, unfortunately, one at a time. In early 2015, the usually timid and agribusiness-friendly, World Health Organization, declared both glyphosate and 2,4-D probable human carcinogens. Following on this modest step, in May 14, 2015, the International Society of Doctors for the Environment, based in Basel, Switzerland, issued an appeal to the European governments: “To immediately and permanently ban, with no exceptions, the production, trade and use in all the EU territory of glyphosate-based herbicides.” The UK journalist, Georgina Downs,echoes that sentiment to include all pesticides. Humans need a pesticides-free future. We need to appeal to all politicians all over the world to ban permanently and without exception all pesticides. Glyphosate represents all pesticides. Our message and policies should be telling agribusiness companies enough is enough: no more death rain. Monsanto, on the other hand, isbuilding additional facilities to manufacture another weed killer by the name of dicamba in order to mix it up with glyphosate. That way the joint product will be more effective against the super weeds resisting glyphosate. The new study analyses a dossier by giant agribusiness conglomerate, Monsanto, submitted to the Brazilian government, and also conducts a comprehensive review of the available scientific literature from other sources. 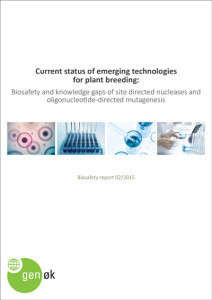 Its focus is on Monsanto’s GM soybean Intacta Roundup Ready 2 Pro, which is grown in Brazil, and also authorised in Argentina, Paraguay and Uruguay, and probably also present in Bolivia due to illegal introductions from neighbouring countries. En sus conclusiones, los expertos afirman que la exposición a la formulación comercial del bacilo Bt, incluso a bajas concentraciones y por un período relativamente corto, puede inducir genotoxicidad y daño intestinal en renacuajos de la rana común. Ahí está el punto. En un sistema de por sí ya jaqueado por los agronegocios, ¿cuánto más padecerán las especies? ¿Y cuánto debe servir de advertencia, en vistas de la salud del mismo ser humano que respira los químicos rociados, y come las semillas del maíz modificadas, ya con la bacteria metida por la fuerza en el mismo plato de los niños?" Ley de Semillas: Alerta Argentina! The African Centre for Biodiversity (ACB), the Network for a GE Free Latin America (RALLT) and the Third World Network have today released a briefing titled, What next after a ban on glyphosate—more toxic chemicals and GM crops? Or the transformation of global food systems.? The briefing has been prompted by the recent conclusion of the International Agency for Cancer Research (IARC), of the World Health Organization (WHO), that glyphosate, the world’s most-used chemical ingredient for weed control, is a “probable human carcinogen”. The briefing is attached below.